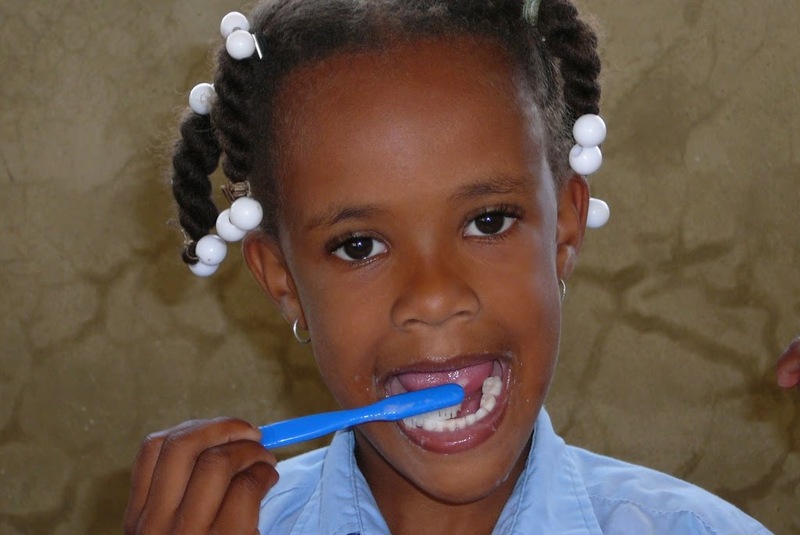 Bocas Sanas Holanda Maimón was founded in 2008 in the Netherlands to promote oral health in the Maimón district of Puerto Plata province, Dominican Republic. Originally this was done by teams of Dutch dental volunteers providing, during two weeks’ visits, information and instructions on proper mouth care, and by the distribution of tooth brushes and fluoride tooth paste. Also curative care was given in cooperation with Dominican dentists from the Ministry of Public Health. In 2010 Bocas Sanas broadened its approach by adopting the Fit for School system, (which aims at reducing dental decay and oral and intestinal disease through an integrated approach based on children brushing their teeth at school. Bocas Sanas has since put up brushing facilities at ten schools.